I do love a good truffle, but sometimes it arrives in the most unlikely package. I've had many different types, including Godiva, Belgian stuff, etc. and these are really the only ones that I like.They are absolutely delicious, rich, cocoa-coated chocolate drops. Smooth texture, divine flavour, melt-in-your-mouth good! I don't know what it is, but these are amazing. Just the right consistency, not too sugary, not too bitter, very rich, not quite like fudge, but not crumbly, either. These are a great bargain at £2.50. There are 2 foil bags in the box and they last well. There's no comparison to ordinary chocolate. 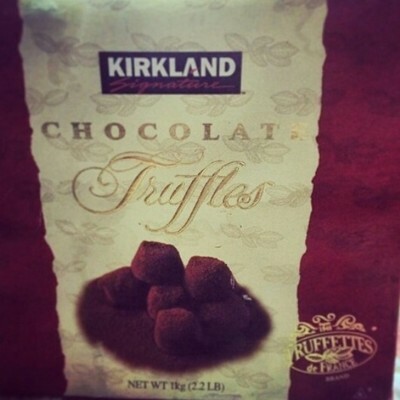 I never thought I'd be a fan of Kirkland truffles, but they're fantastic. Find them on Amazon and indulge in these beauties yourself.